In this day and age, when technology has made everything easier, faster and with far less need for any physical effort, why is it that we feel a certain emptiness within? After striving and working our way up to attain everything we ever wanted in life, why is that happiness short-lived; why do we feel miserable in spite of having everything we need? If comfort equals happiness, then why are we not joyous? Why is it then that we crave for an old-fashioned way of life, a slower and simpler pace of existence and are drawn towards homemade, handmade sustenance? With technology at helm, we are flying high but somewhere in all the high we have lost our anchor; in the rat race we have successfully wiped out all things that kept us grounded and connected. No wonder we are stressed out, depressed, anxious, purposeless, disillusioned, disconnected and easily bored. The mechanised way of life has sucked the joy out of living. Oh, don’t get me wrong! I don’t have anything against modern technology and advancement. In fact, I love the modern way of life, I love the ease and comfort it has given me. I would forever be thankful for technology because, hello, that’s how I am able to communicate with you. It’s just “the not knowing how much is too much” that I have a problem with. We work hard during the day and get back home and our only way of relaxation is merely reacting to and consuming what is being selectively fed to us by media. We rave, rant and repeat! And then we have our very own social media where we compare and contrast on a daily basis. What does that leave us feeling? This is where being close to nature, finding satisfaction and joy in working with your hands to grow your own food and getting back to our roots comes in. Its a very natural feeling and no “people won’t think you are a weirdo or a hippie” and even if they do, its not our problem, is it now? If you are reading this, chances are you love the homesteading way of life too…And no, it doesn’t mean you have to have a farm, raise chicken and goats, have a cow and live an off-grid life to be called a homesteader. You can be living in a city, in an apartment and still homestead. It’s essentially making things from scratch, be it cooking, growing your own food or making your own bread and butter. 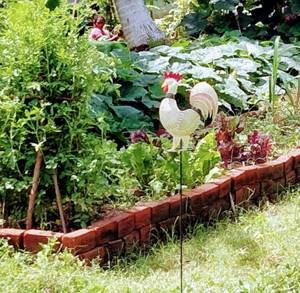 It could be as much as living off-the-grid to as little as having a kitchen garden. It’s more of a mind-set than anything else. I think it fits the bill perfectly for all or any form of sustainable living. If all of us made one small change or a couple of small changes, that’s infinitely better than only a few people doing everything. We all can do something from wherever we are right now. If you have been yearning or dreaming of being a producer than merely a consumer, you are already on your way to be a homesteader, my friend. Don’t brush away that feeling; it’s for real. You don’t have to do a lot. Just do whatever little you can, being where you are! That’s all. Just start. We all start somewhere…it’s not where you have reached that matters but whether you have made an attempt to start, that’s important. Take that first step. Every little step counts. Every small effort matters. The satisfaction and fulfillment you are craving is right there, waiting for you to take that first step.